The facial comes in a golden cardboard box packaging with all the information printed over it. It comes with a free Blue Heaven Aloe Vera & Tea Tree Face wash. I shall review it separately. 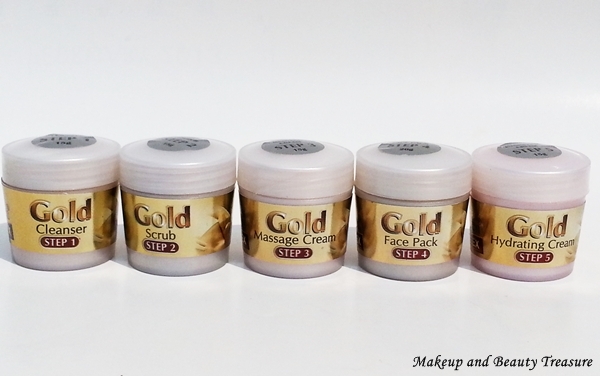 The kit consists of gold cleanser, gold scrub, gold massage cream, gold face pack and gold hydrating cream. The number tags are stuck over the tubs so you won’t need to read the label whilst doing facial. Before starting the facial process, always make sure to wash your face with a face wash. 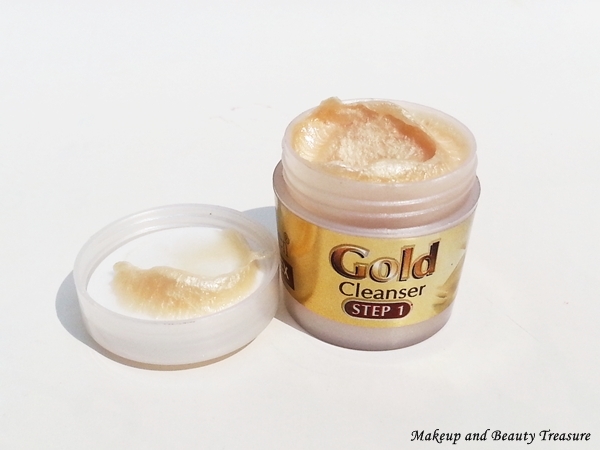 Though it comes with a cleanser but I still recommend you to remove all makeup and dirt off the skin with a face wash.
After cleansing your face with face wash, take a small amount of gold cleanser and massage it gently on the skin for at least 2-3 minutes. It is quite creamy and feels smooth on the skin. Remove the cleanser with damp cotton. It removes the remaining dirt and oil off the skin. My SIL told me that the cleanser instantly makes her skin soft, clean and bright. It contains sweet almond oil which is comedogenic for acne prone skin but if you have normal or dry skin then go ahead to get bright and glowy skin. 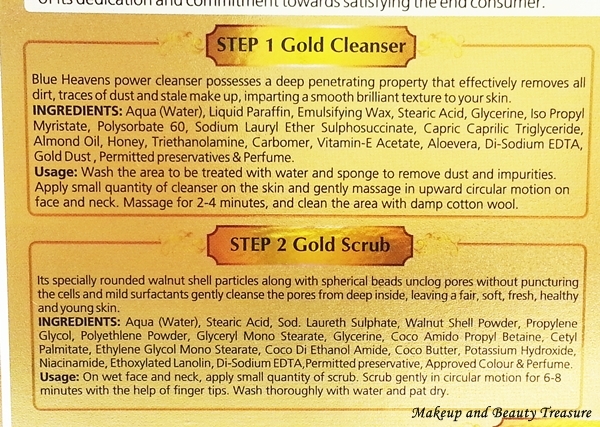 The second step is to use gold scrub. 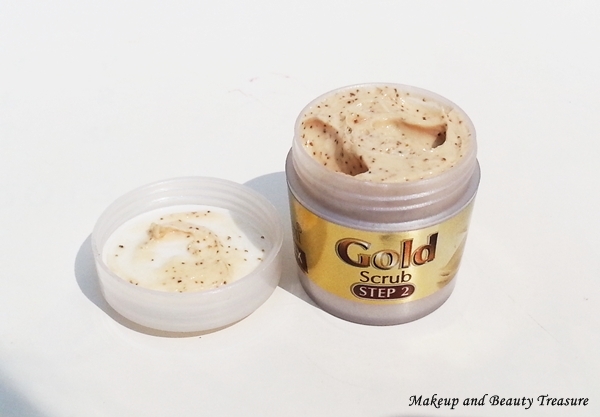 It is golden in color and has good size of granules that exfoliates the skin well without getting abrasive. You need to massage the scrub for a good 5 minutes with the tips of your fingers. Rinse it with water and you will get super clean, soft and bright skin. My SIL totally loved the effect the scrub gives to the skin. 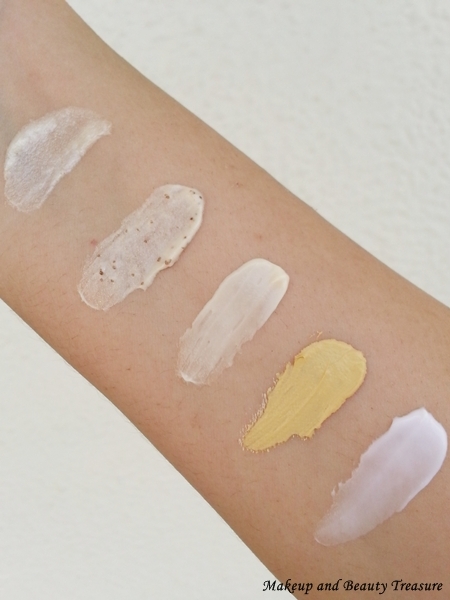 Stearic acid and ethoxylated lanolin are comedogenic ingredients and not for acne prone skin. 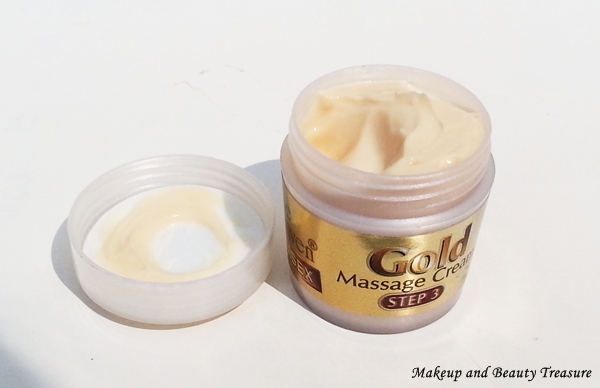 The third step is to massage your face with gold massage cream. It is a soft cream that feels light on skin. You need to massage it for at least 10-15 minutes to get results. I am so lazy to massage my skin but my SIL did it for 15 minutes with gentle, circular motion *kudos to her*. Instead of removing the cream with damp cotton, she let it sit on her skin and applied face mask. She has normal to dry skin and the massage cream instantly makes her skin hydrated and glowy. The next step is to apply gold face pack. 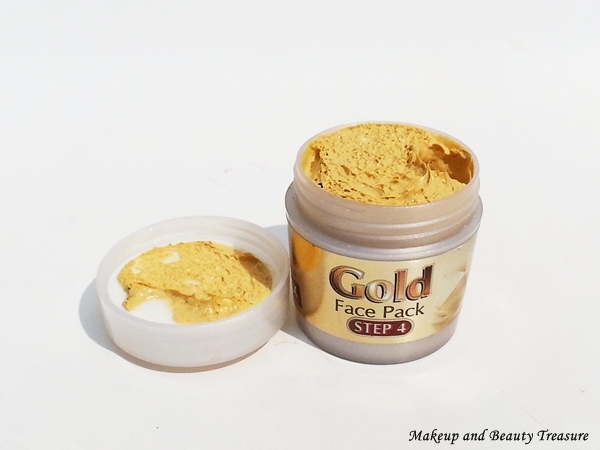 It has soft and smooth formula with golden shimmers that are not overly so. It contains mineral oils that keep skin soft and hydrated. Keep it on your skin for 10-15 minutes and rinse it off with water. The skin feels soft, smooth, hydrated and radiant. 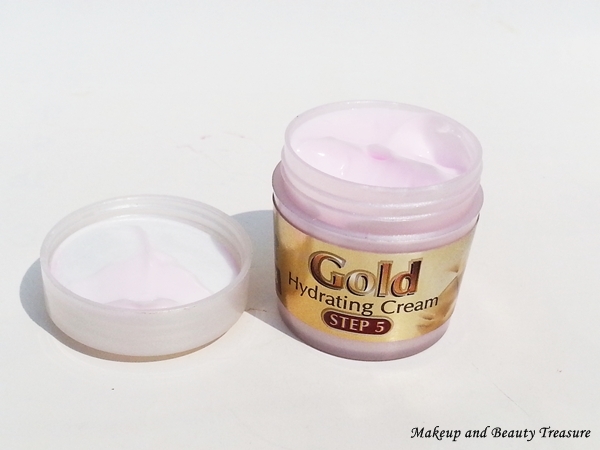 The last step is to moisturize your skin with gold moisturizer. It is quite light and keeps your skin soft, smooth and hydrated. The whole facial process gives a healthy and radiant look to the skin. It is perfect to pamper your skin at home if you hate spending time at salons. My SIL was literally glowing and I must say it is perfect for people with normal and dry skin. She loves using it during festivals or whenever she needs to attend a function! The glow stays on her skin for at least a week though it totally depends on your lifestyle! • Gives a lovely healthy and radiant look to the skin. • Makes skin soft, supple and hydrated. • Great for normal and dry skin. • Gives at least 4 facials. • The scrub is mild and the granules do not feel abrasive. • Not suitable for acne prone skin. 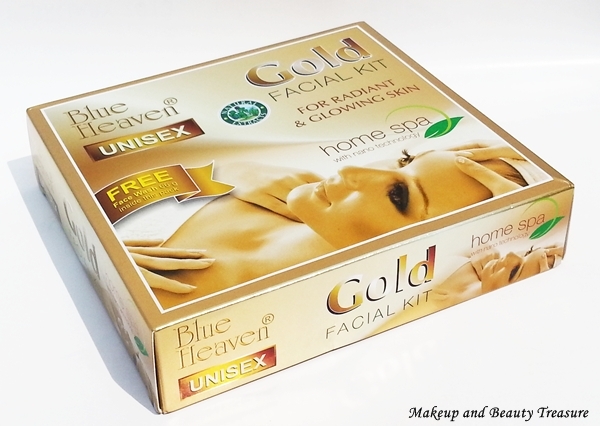 Overall Blue Heaven Gold Facial Kit is great for people with normal and dry skin. It makes skin soft, smooth, supple and hydrated. It gives a radiant look to the skin that stays on for at least a week. It does not irritate even sensitive skin (My Sil has sensitive skin that goes red with harsh products!). I would definitely recommend it to you if you have normal or dry skin. 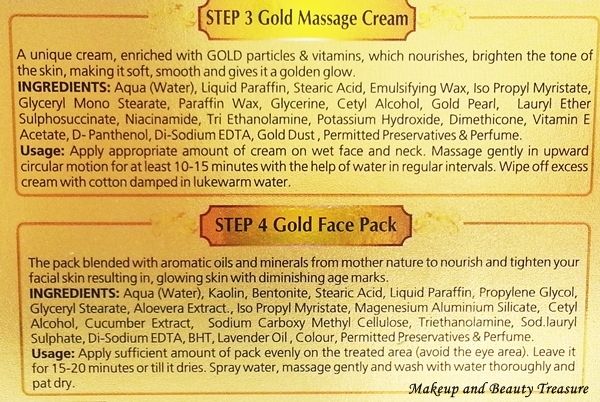 Have you tried Blue Heaven Gold Facial Kit? Do you know any brightening facial kit that is great for oily, acne prone skin? I seriously need one!